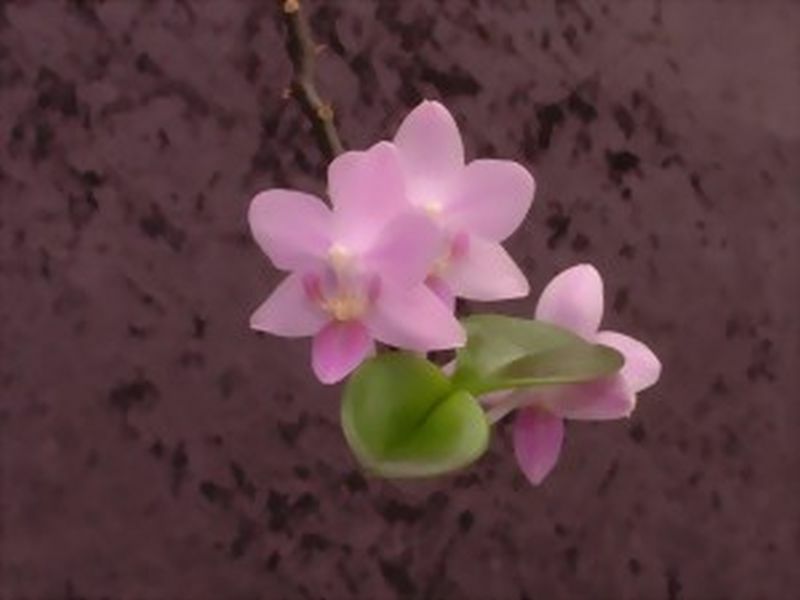 Found from the Philippines and southern Taiwan near streams in hot valleys at an altitude of sealevel to 300 meters as a small sized, hot growing epiphyte with a short stem enveloped by several imbricating leaf bases and carrying to 5, fleshy, recurved, oblong-elliptic to oblong-ovate, acute or subobtuse leaves that blooms at almost any time of the year although the peak is September through April on a suberect to arcuate, to 12" [30 cm] long, racemose or paniculate, denesly many flowered inflorescence with small, purple bracts and successively opening flowers. This species has a habit of making keikis and can rebloom out of old spikes and can continue to send off branches so they are best left uncut. This orchid is highly adaptable to various environments and is easy to grow, if given a drier winter although never left to dry out completely. 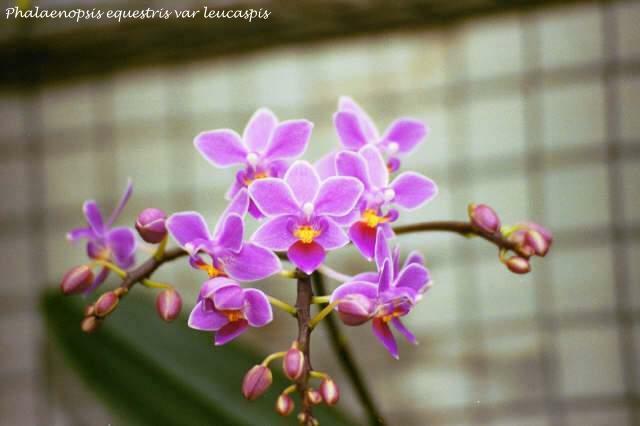 SUBGENUS Phalaenopsis SECTION Stauroglottis [Schauer] Benth 1881 Photo by Lourens Grobler. 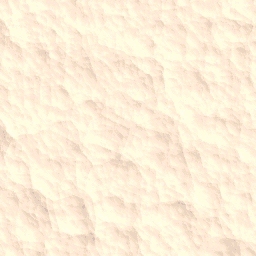 An all white variety of the previous species. 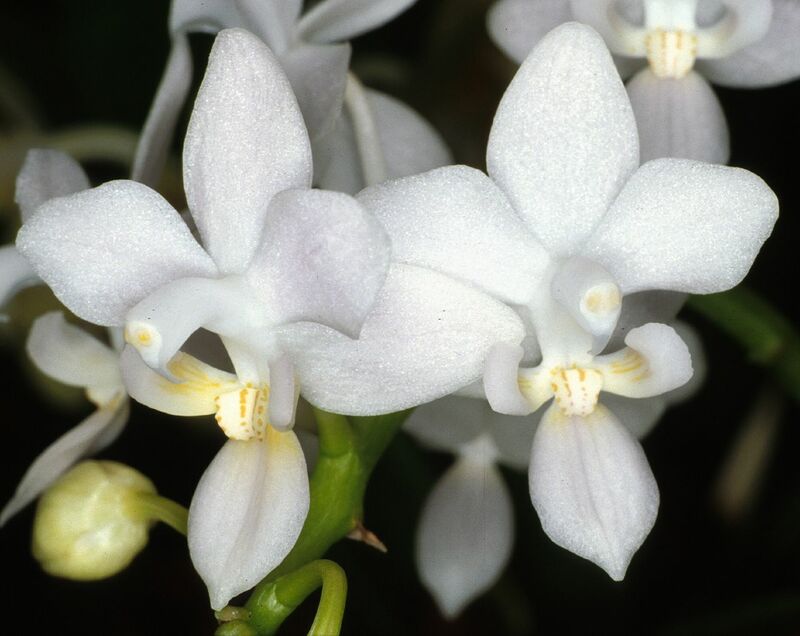 SUBGENUS Phalaenopsis SECTION Stauroglottis [Schauer] Benth 1881 Photo courtesy of Nik Fahmi and his Vortex Orchid Page. Another color form of the previous species. 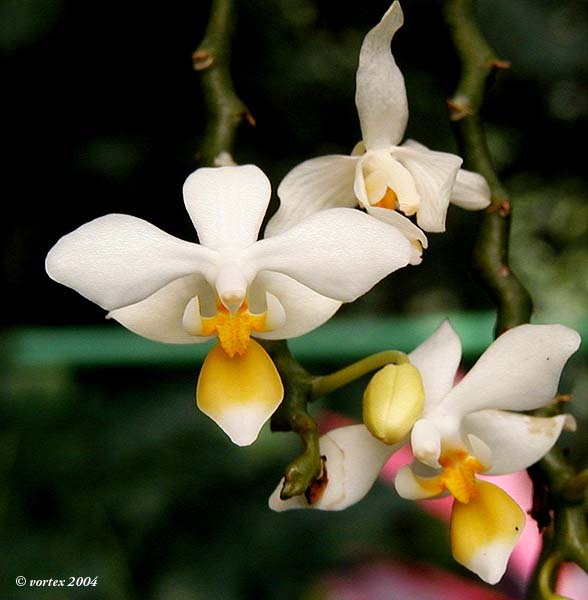 SUBGENUS Phalaenopsis SECTION Stauroglottis [Schauer] Benth 1881 Photo courtesy of Bill Morden. 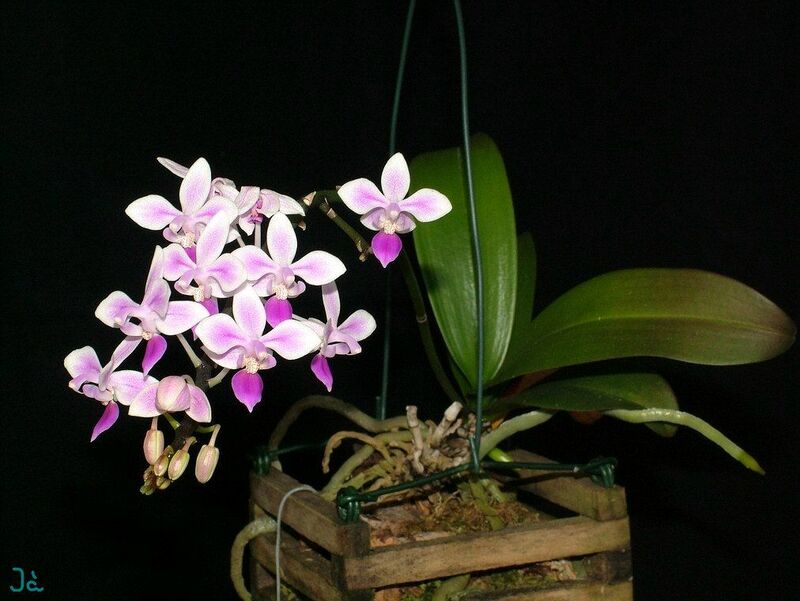 SUBGENUS Phalaenopsis SECTION Stauroglottis [Schauer] Benth 1881 Photo by Asendorfer Orchideenzucht Web Page.